Continuous Delivery Sounds Great But It Won’t Work Here Jez Humble. A new version of a classic one. A great talk. Testing in Production - Quality Software Faster Michael Bryzek. Very interesting ideas... Requires good maturity but have a lot of interesting insights. Very related to the new way of testing required for cloud application that uses external services and fuzzy info (like IA, Machine learning stuff). More info about this testing problem in the following talk https://gojko.net/2017/10/17/cloud-testing.html. 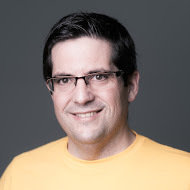 Full Stack Radio Ep 80: Tom Schlick - Building Multitenant Applications Interesting conversation about the different approaches to create multitenant systems. Preparing Humans for the Second Machine Age Dominic Price. Interesting talk about the agile way of working and the culture change needed for the actual teams. An Introduction to Modern Product Discovery Teresa Torres The best talk I show about these modern techniques. SE-Radio Episode 315: Jeroen Janssens on Tools for Data Science Good introduction for anyone.